The interdisciplinary complexity of modern construction projects has made meeting customer needs and requirements a difficult task. Under the current model, decisions affecting the early stages of design when designers have the largest impact on the final cost and functionality of a given product are approached in an informal and non-homogeneous manner. 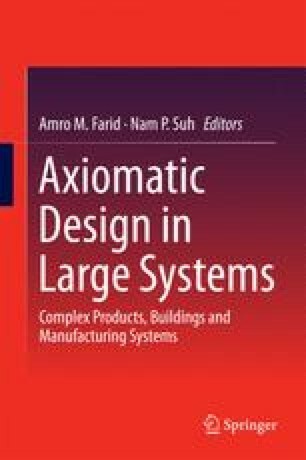 This study proposes an alternative approach, combining quality function deployment (QFD) and axiomatic design (AD) methodology as a systematic way to approach the conceptual design phase of construction projects, specific to temporary housing. This methodology would help to ensure the designer meets the customers needs and requirements, as well as satisfies the design objectives in a homogeneous manner. More precisely, the QFD–AD method proposed herein is considered novel because it combines two prevalent design methodologies in a way that allows a smooth transition from the translation of customer needs into a formal and methodical design approach. The method also allows for an effective framework to help evaluate and compare conceptual design decisions, including the complex process of material selection. The design of a refugee housing unit is presented as an illustrative case study of temporary housing. The International Renewable Energy Agency (IRENA) is acknowledged for their support.